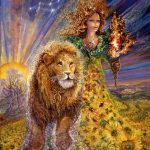 When Chiron moves into the sign of Aries, as it recently has, a hero must rescue the part of you that instinctively knows what it needs to survive – and that’s probably you. If you’ve noticed the fog lifting and have begun to fight for your right to access what you need – pushing back hard against whatever or whoever encourages you to do otherwise – you’re on the right track. 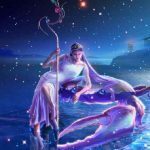 What seems to override most of what’s going on astrologically is the tightening of the Mars/Pluto alignment. Mars is the determined warrior. Pluto is the profoundly powerful, magical energy working a deep levels to heal and transform. Left to their own devices these conjoined energies can be dangerous. But channeled in the direction of blasting through personal restrictions or achieving what has seemed insurmountable, they can hit the mark with incredible force and accuracy. This powerful energy is strongly “in play” through the weekend. thoughtfully consider channeling it in ways that would be most useful to you. 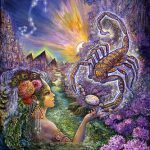 Mars and Pluto are co-rulers of the impending Scorpio full Moon set to culminate on Sunday, April 29th at 5:58 PM Pacific time and 8:58 PM Eastern time. Currently we’re under its intensifying influence. 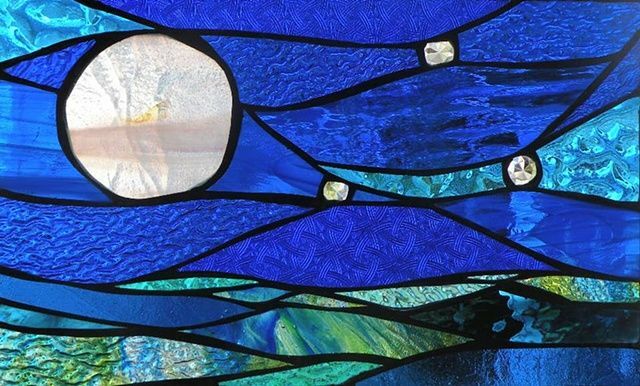 It looks and feels like an emotionally generous, earthy mix of imaginative vision, accessing higher vibrational levels, involving stunning displays of skill and artistry, and dreams that are coming true. (Magic) I’ll write more about it later in the week. 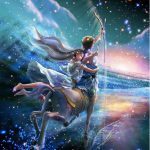 Venus’s recent move from the stabilizing/grounding sign of Taurus into the lighter/airier sign of Gemini is significant. The facts, communication, connection, and adaptability is supported – most of the time. But Mercury rules Gemini and through the end of the week Saturn and Mercury are aligned in a harsh angle. Reality sinks in to undermine “wishful thinking” and maybe dissolve or redirect the plans we had in mind. Heavy decisions may need to be made. Something restrictive within the realm of relationships demands your attention. Connecting may be difficult. Dealing with it all requires a thoughtfully controlled response. Anger deepens and is powerfully energized. Physical exercise seems mandatory. Maybe keeping your head from exploding is the goal. But this is actually the perfect time to undertake tough mental work requiring intense focus and concentration. Being faced with an undeniable reality allows you to step back and evaluate your current strategies. Saturn in retrograde motion encourages the same. Adjustments may need to be made. What you want to accomplish may take longer than you had anticipated. This week I’m focusing on the opposing Taurus/Scorpio energies for each sign. 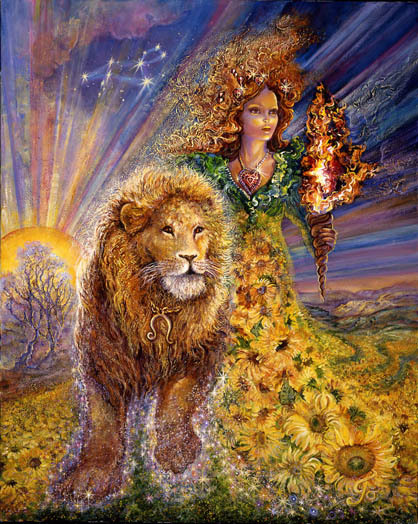 The impending full Moon challenges the North and South Nodes in Leo and Aquarius. “Will you move forward or insist on repeating yourself” is a question worth considering. The vehicle by which you are transforming yourself may revolve around issues of money, control, fairness, and slick (or not so slick) manipulations. You are approaching the end of a long fight to protect yourself against malevolent forces beyond your control. It looks like you’re gaining some trust in your own strength and you may be close to winning some final battle. 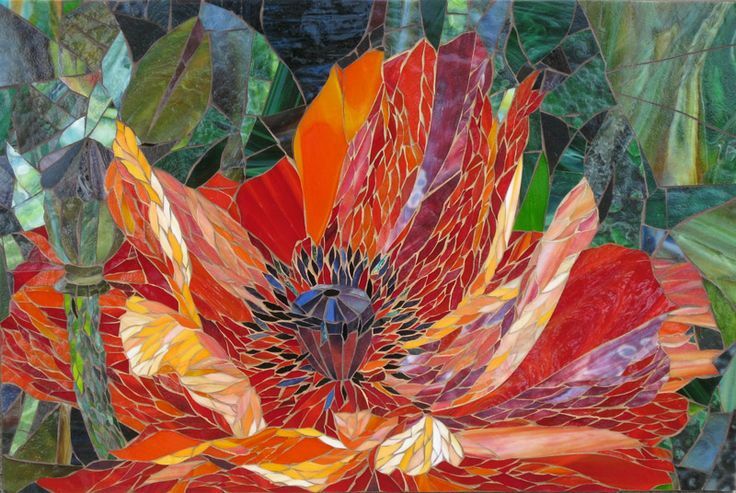 Right around the corner is freedom and the possibility of relating to people in a more open hearted, generous way – needing less to be “on guard” and freer to open your heart to something warm, generous, and supportive. A turn toward something more balanced is indicated. A commitment to healing relationships ignites a passion that has been dampened or impaired. This appears to be a time when following your instincts leads to unprecedented success – even when logically it seems like it won’t. Emotionally you are moving into a new space. If you’re moving your actual place of residence, that could forcefully energize a new direction. New beginnings are your thing. Everywhere I look what I see for you is something new and better. 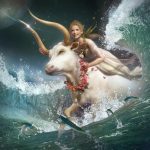 For Taurus it may seem you are being torn between two lovers – competing interests, an impending decision that splits you down the middle, or the sense of loss that is always involved in choosing one thing over the other. Instinctively you may know that whatever the dilemma, your relationship with yourself is what matters. A return to your essential self seems triggered by the impending new Moon. An old form of abuse that involves neglectful or undermining friends, social situations, and affiliations is highlighted and ripe for healing. Beyond that, whatever the dilemma, a return to “home base” seems wise. If you need a reminder, the nature of your “home base” is child-like, freely and fully engaged in the creative process, open to romantic love, warmth, and generosity. Whatever difficulties you’re currently enduring, sticking close to yourself and sticking with the current evolving process would seem to land you in a good place. What you have chosen will most likely work out well for you. 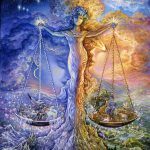 A return to balance follows some turmoil or adjustment involving your work life, general responsibilities, and your need to be settled, stabilized, and nourished from the deepest recesses of your mind and heart. A body/soul disconnection may have wrecked havoc with your health. Too much work, too little awareness, too much talk, too little actual listening may have taught you a lot about how to move forward from here. But the choices don’t seem to be easy ones. The magic of the impending new Moon energy allows you to create something less threatening than your mind may be imagining. 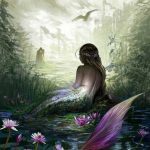 With intense focus and concentration on your vision for your life, and a reconnection and recommitment to your instincts or “first impulses” your life could be back on track – or on track for the first time ever. It’s wise to reconsider an idea you once had that you proceeded to talk yourself out of. That may give you clues as to the nature of the new beginning unfolding for you. Once you find the courage and self-discipline, it looks like smooth sailing ahead. Going with the prevailing wisdom for what might produce success or adjusting and fitting yourself into the consensus “groove,” would appear to be a risky move for you. 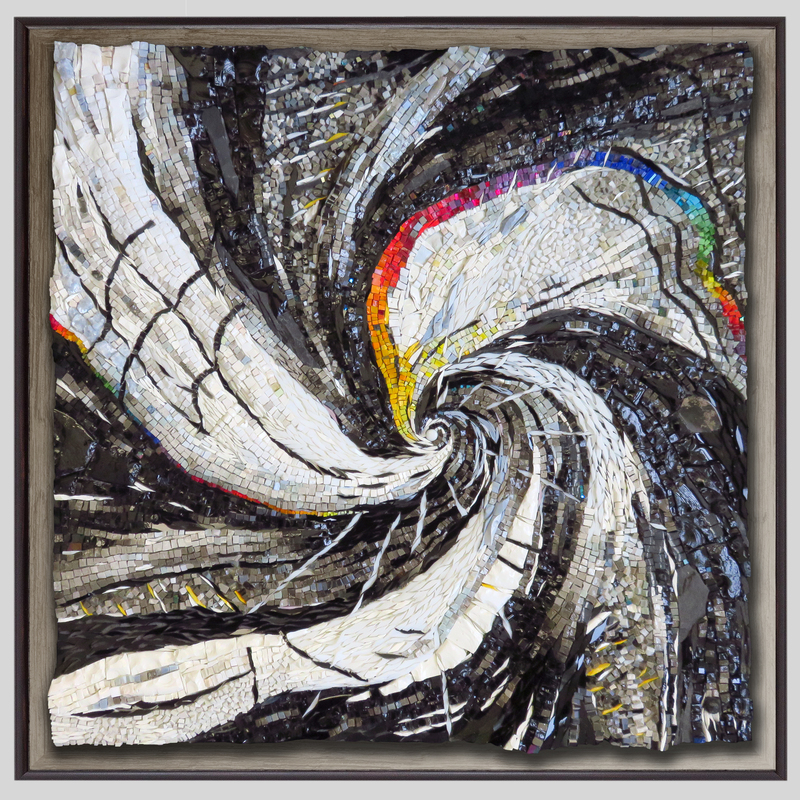 Now is a time to connect with your instincts and how you, as an individual, go about surviving and thriving in the public sphere. What needs to be emphasized is what emerges as you connect with your instincts and most natural way of being. 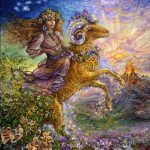 With Aries strongly placed at the top of your chart (the person you want to become), first thoughts, impulses, and impressions take on critical importance. Those come from a place that allows you to initiate some very original, creative stuff. That seems to be the message for Cancers now. 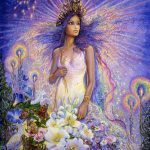 From a powerfully creative perspective, the issue is whether you will rely on the available magical power to connect with yourself and what you were like before you got civilized. Chances are you were playful and fully engaged, unafraid and insistent that things be entertaining and fun for you – and you liked to be noticed. Being your less “civilized” more “uncensored” self is your professional advantage. You need to boldly emphasize how your ideas and contribution are unique because they don’t rely on the “tried and tested” as their source. Over the next week or two you may move in the direction of a better work/life balance. A combination of feeling more at peace or settled within your professional/public life combined with a wake-up call from another (or that chronically repressed part of yourself) may be responsible for a fortuitous change in style and approach. 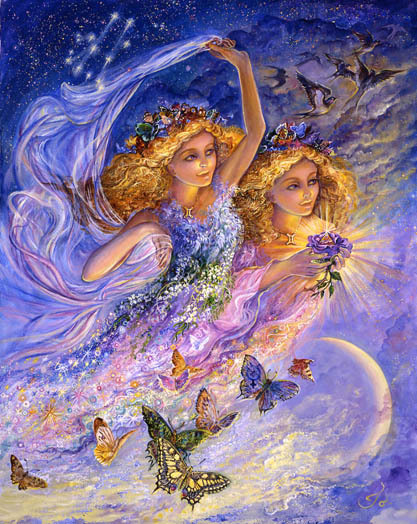 Your mother or the more nurturing part of yourself may be intricately involved. This full Moon challenges your old assumptions about best practices and best approaches to life. The well-worn phrase “do you want to be happy or do you want to be right” comes to mind. You may be leaning in the direction of something happier. There is no doubt you can power your way through anything, intimidate and overcome any opposition, and win. But something less warrior-like prevents you from repeating past mistakes. Something softer and more caring, compromising and forward-looking, may be coming into play. It’s laced with wisdom and a willingness to question your style and methods. Within the general scheme a peaceful sense of inner balance is more likely to get you where your want to be. Expect some personal progress over the next two weeks. It appears that your intuition is “right on” this week. Your sense of the truth and the direction in which things are moving is especially acute. You seem to have the inside track and an advantage – pretty psychic these days I would say. If you have decisions to make you can make them with full confidence if you “go with your gut.” If you’ve put your dreams on hold for a long time, or insisted on lots of self-sacrifice from yourself, the necessity for continuing that approach appears to be over. Are you celebrating? Or are you worried that at any minute it might all fall apart? Hopefully it’s the former. 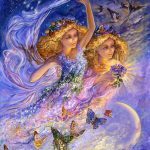 Virgos can move into a place of peace and settledness by embracing something adventurous and expansive – foreign travel maybe. Simply giving yourself permission to formulate and nurture your vision for a future that feels exciting and adventurous to you is a step in the right direction. There is no reason your vision can’t be manifested. The past is behind you. My suggestion is you leave it there. The promise over the next two weeks is movement in the direction of something more balanced. Chances are you’ve already done your hard time. Go with the current joyful flow and stop yourself when you start second-guessing it. Every full Moon represents an opportunity for a return to balance within the realm of relationships. 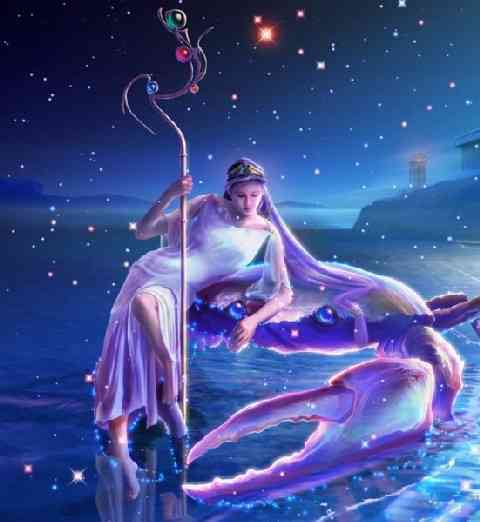 The extra beautiful part of this impending new Moon for Scorpio is that Neptune in the 5th house – the symbol of lost love – forms a flowing, supportive angle to the Moon itself. An important and significant reconnection or re-unification is indicated. With just a little effort the rewards could be substantial – not just on a personal level but universally as well. Broken bonds with a lover, a child, a friend, or ally are especially relevant. 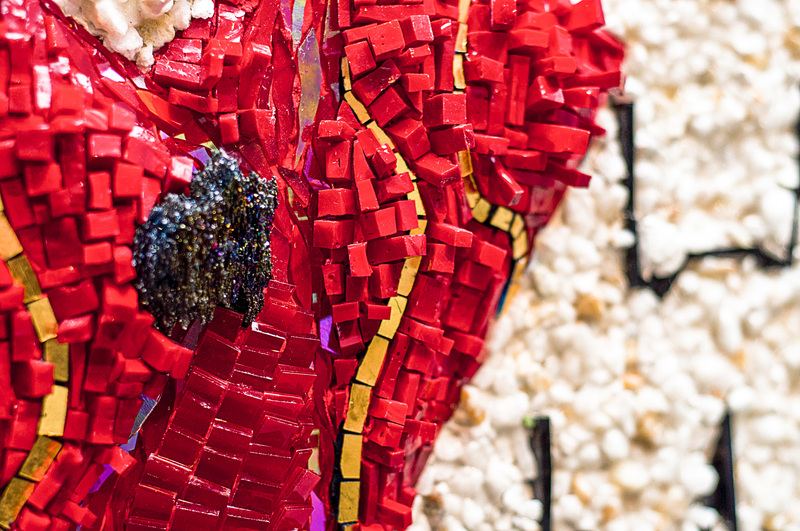 Coming into play in an even stronger way is Nessus – the symbol of the abuser and the abused. A chance to repair the broken bonds that destroyed a relationship because abuse was involved in some way (you were the perpetrator or the victim or both) is indicated. How to best approach this? Commit to a healing process that involves the dynamics of the relationship when it was first new. 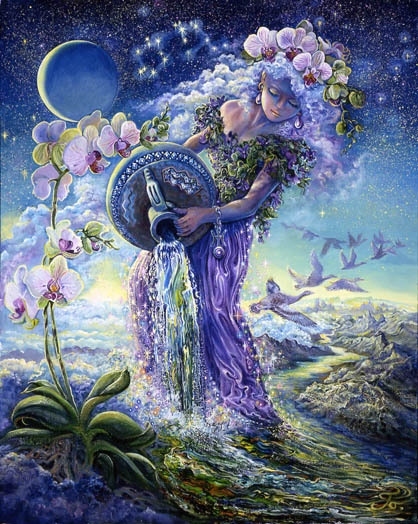 A return to the very beginning seems important.Take responsibility for your part then trust your instincts to lead you to a place of resolution and reconnection. This is an opportunity you could easily pass up. But it seems for your own sake that regardless of the outcome, it would be a mistake to let this pass by. Even if the relationship is not restored or healed, the wounds incurred from abuse most likely would be. The nature of your future, your future social life, or love life, and the possibility of something more intense that could bring you to a higher level of “aliveness” may be worth considering. 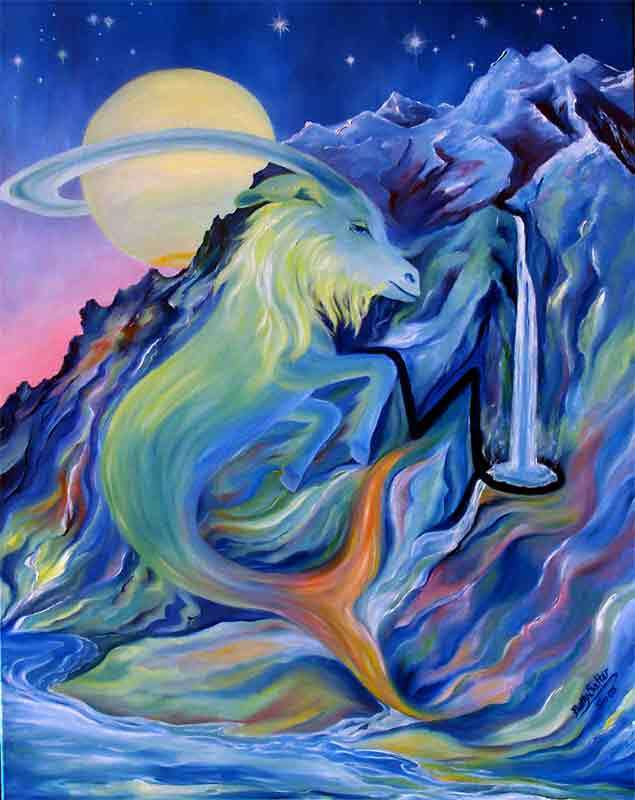 Over time, especially in the challenging, exhausting life of a Capricorn, a deadening of the senses can occur. Simply eliminating what doesn’t seem necessary to the task at hand may feel efficient and automatic. It may look and seem like the responsible thing to do. 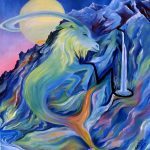 Admittedly the success that comes from a willingness to work harder than everyone else is central to a Capricorn’s sense of well-being. 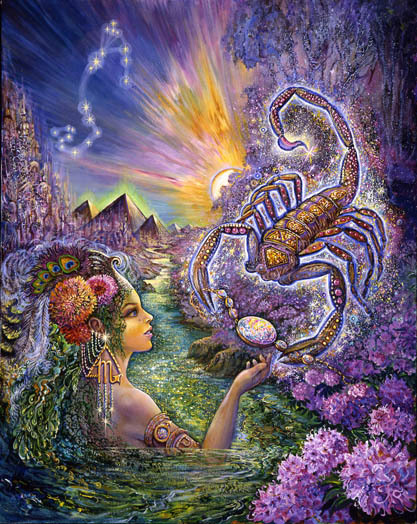 But as the full Scorpio Moon approaches the issue of balance may be intricately woven into themes of life and death. Are you more alive than dead or more dead than alive? Do you routinely go through deadening robotic motions or are you actually excited about your life and what you’ve created. The tendency, I realize, may be to file all this in a folder labeled “irrelevant.” You could survive without something more intensely pleasurable but the risk is waking up someday wondering if you might have missed the boat. Pay attention over the next couple weeks to the cosmos’s attempts to infuse something more balanced and alive into your life. If you’re like most Aquarians you haven’t had time to rest for awhile. Burn out may be an issue. In the interest of balance, the impending full Moon might bring you the opportunity to rest- or at least the awareness that you need to do something to arrange for more down time. Most likely there is a part of you that needs to be recovered – a part that’s been lost or gone underground because you’ve been too busy to attend to it. There’s nothing like lying on the couch staring at the ceiling to bring you back home to yourself. The pressure you’ve been under needs to be released for awhile. It’s time to reintroduce yourself to yourself. You may not be the same person you were when you last took the time to “check-in.” A clarification of what you want now may be in order. Old priorities may no longer apply. Old ways of making a living may need to be updated. A new passion may need to be given time and a chance to thrive. Aquarians love to discover new things. There’s nothing more exciting than discovering something new about yourself or recovering something old that would like to resurface. Doing nothing opens you to exciting new possibilities. You may be growing weary of your old interests and needing to replace those with something more updated and relevant to who you are now. It is likely you have some idea of what that might be. 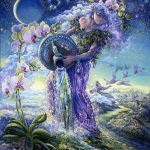 The full Moon in your 9th house of higher education may be taking you back to something old you once dabbled in but for whatever reason never seriously pursued. Now may be your chance to find the program, the teacher, the school, or the opportunity that could take you in a more exciting or pleasurable direction intellectually. 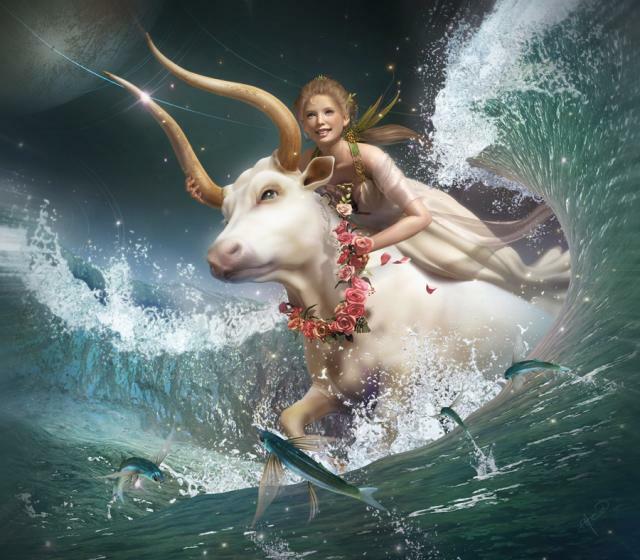 On May 15th Uranus moves into your 3rd house. This is the house of learning, of problem solving, making connections, and creating something that’s intellectually brilliant and beautifully arranged at the same time. Your mind will be highly stimulated, craving more information, possibly stimulating your own research. There is some balance being created now that will move you into a future that feels right for you. Foreign influences are highlighted. Greetings dear Holly. I’ve been reading you for awhile and love the richness and inspiration of your posts. Also- the last few blogs have brought me to tears. With being seen. With making sense of where I am and seem to be going. Such a big, deep picture beautifully said. 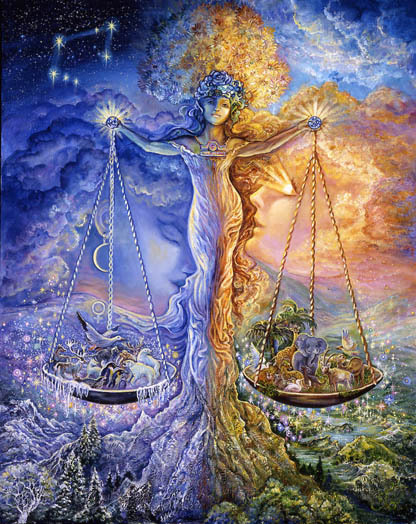 Aquarius, moon in Virgo, ascendent Libra. Sorting finances out to see when I might get a reading ( do you do individual charts) Will explore your Web site. Meanwhile: Heart full of gratitude. Wild blessings to you. Heartfelt gratitude to you, Marilyn, for your very generous and personally inspiring comment. “Being seen” is like no other feeling – the highest of compliments in my book. Thank you so much. And yes, I do individual readings. Info on my website. It would be a pleasure to meet you, Marilyn.